Sinergia Worldwide Education is currently seeking a contract UX/UI Designer to join the product development team. The ideal candidate has experience creating enterprise web & mobile applications and has a strong background in wireframing, mockup creation, prototyping, user testing, and user interface design. The ideal candidate will have experience working with enterprise customers, working on cross disciplinary teams and working in agile environments. 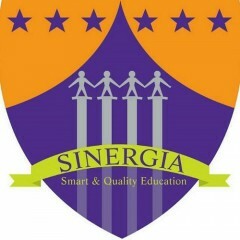 Description Sinergia Worldwide Education is an organization which emphasizes quality education, provides various services for the people of Indonesia has global competence. Sinergia provides education supports for formal/informal students, teacher and people who love education with the academic and ethical foundation necessary to excel in school and in life. Our school’s programs focus sharply on an early acquisition of fundamental skills in the core subjects of English, Math, Science and Social studies, beside have strong character and leadership.